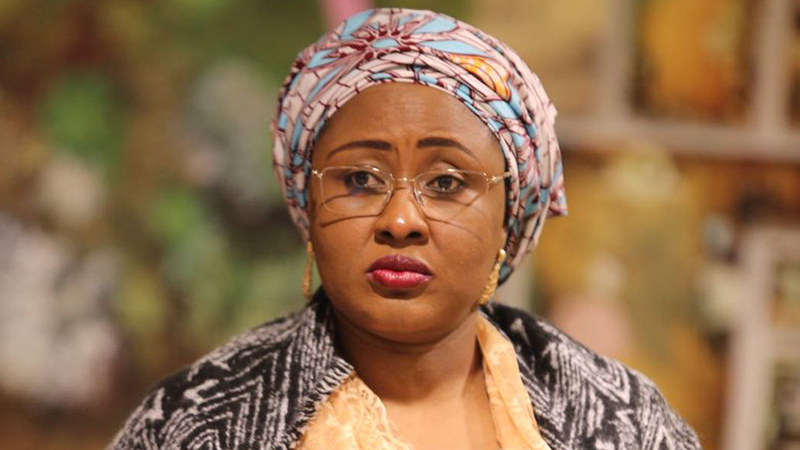 Following the recently concluded primaries of the ruling party, All Progressives Congress (APC), the wife of the president, H.E, Mrs Aisha Buhari, 47, has called out the leadership of the party on the anomalies that took place during the exercise. Known to always openly express her views on the party and presidency, Aisha Buhari has again spoken out on the manner in which some of the primaries of the ruling All Progressives Congress was conducted. She particularly took a swipe at the party’s National Chairman, Adams Oshiomhole, whom she accused of allowing impunity under his watch despite being an activist/comrade. Mrs Buhari, whose husband, Muhammadu Buhari officially emerged the presidential candidate of the APC early Sunday, made her position known via her official Instagram page. However, her criticism was more general as she did not specify which particular primary(ies) or candidate(s) she was referring to. All Progressives Congress being a party whose cardinal principle is change and headed by a comrade/ activist whose main concern is for the common man, yet, such impunity could take place under its watch. Given this development one will not hesitate than DISSOCIATE from such unfairness, be neutral and speak for the voiceless. It is disheartening to note that some aspirants used their hard earned money to purchase nomination forms, got screened, cleared and campaigned vigorously yet found their names omitted on Election Day, these forms were bought at exorbitant prices. Many others contested and yet had their result delayed. Fully knowing that AUTOMATIC tickets have been given to other people. All Progressives Congress being a party whose cardinal principle is change and headed by a comrade/ activist whose main concern is for the common man, yet, such impunity could take place under its watch. Given this development one will not hesitate than DISSOCIATE from such unfairness, be neutral and speak for the voiceless. It is important for the populace to rise against impunity and for voters to demand from aspirants to be committed to the provision of basic amenities such as: 1. Potable drinking water 2. Basic health care ( Primary Health Care centers) 3. Education within conducive & appropriate learning environments. Let us vote wisely !!!! LONG LIVE FEDERAL REPUBLIC OF NIGERIA!!!!! !